Part of the Reflections contemporary table lamp range. 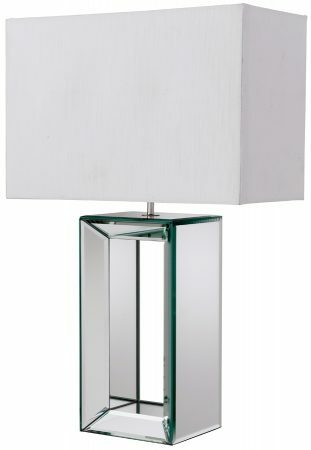 Tall rectangular bevelled edge clear mirror glass base with a matching off-white rectangular faux silk shade. Perfect as a bedside table lamp in the modern home. Shade dimensions; 380mm wide x 250mm high.